Posted in: 1 Pageant Pages, 2 Shout-out-Looks. Tagged: Carmen Marc Valvo, Miss Universe, New York Fashion Week, Pia Alonzo Wurtzbach. 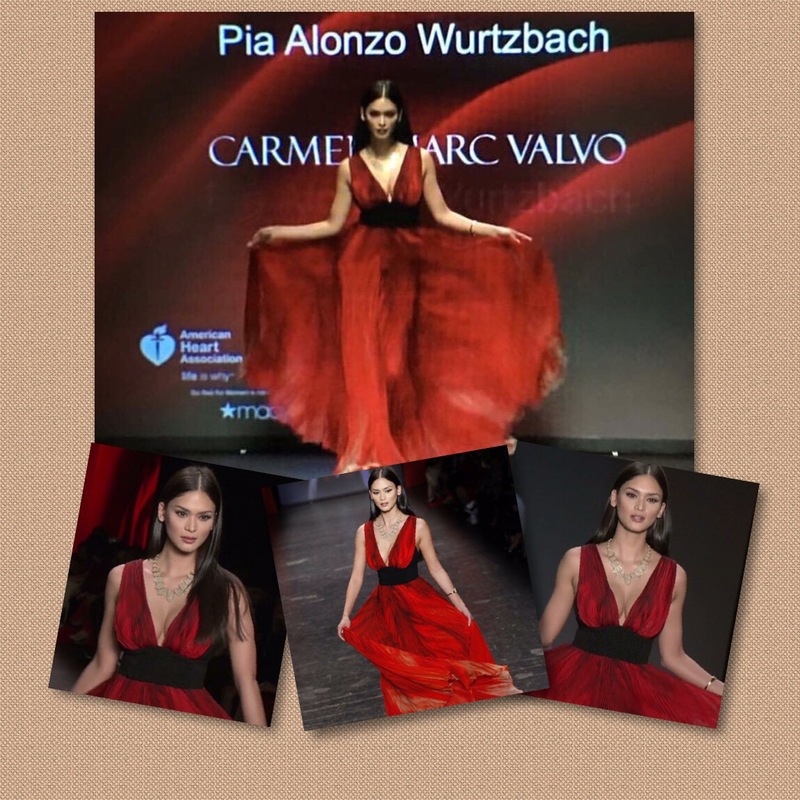 Here now are images of our very own Miss Universe Pia Alonzo Wurtzbach as she blazed the runway for Designer Carmen Marc Valvo and Macy’s Go Red for Women in Day 1 of New York Fashion Week. Queen P is looking absolutely like a Goddess here. And there’s no denying that she was one of the real stand-outs in the said show.